One thing that HMD is doing great with the Nokia smartphones is providing fast Android updates. Well, this is not surprising since all the phones launched by Nokia this year are Android One branded. Android One branding means two years of guaranteed Android updates and three years of guaranteed security patch updates. Nokia 7 Plus was one of the few phones that got Android Pie beta, and today, the company started rolling out the stable Android Pie update for everyone. Again, this is a stable Android Pie update which means it is not a Beta update. The update weighs at 1.47GB and comes with the version V3.22C. With this new update, users get all the sweet Android Pie features like new Settings UI, New Notification panel UI, Adaptive Battery, and more. 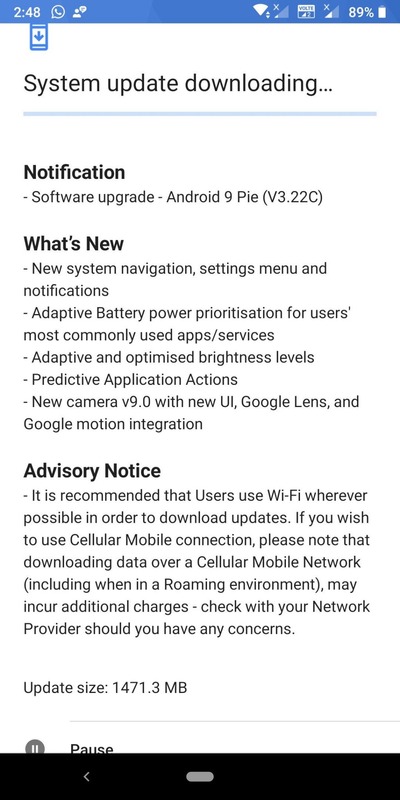 The changelog shows that this update brings the updated v9.0 of the Nokia’s camera app. The camera app has new UI, Google Lens integration, and Google Motion integration. It is recommended that you download it over WiFi and have enough battery so that the installation process doesn’t stop in the middle. Did you get the Android Pie update on your Nokia 7 Plus? Do let us know all the new features that you got with this update.